Mineral Resources Minister Mosebenzi Zwane on Wednesday made it clear he took exception to facing questions on State Capture, rather than “real issues that affect our people” and his department’s “many positives… nobody knows about because we are seized with this (State Capture) matter”. He expressed surprised at MPs’ invitation as State Capture was before the courts – the legal review of the public protector’s commission of inquiry brought by President Jacob Zuma starts next week – and “legal platforms” like the public protector, police and Parliament’s registrar of interests. By MARIANNE MERTEN. 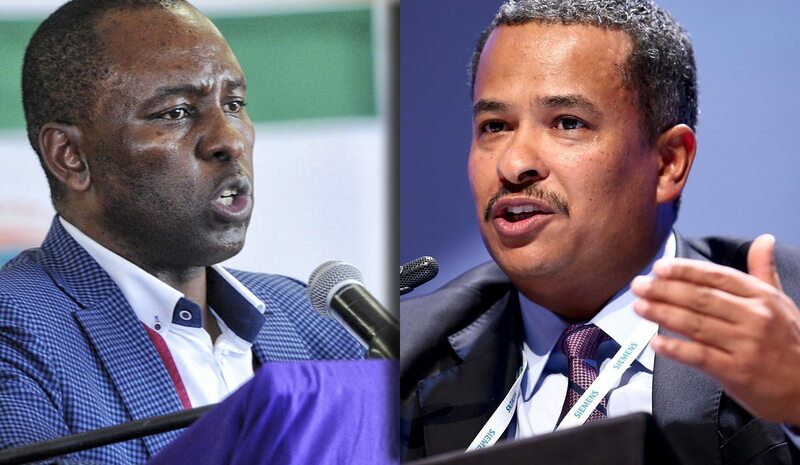 The public enterprises inquiry, like the questions to Zwane, stem from an institutional directive in late June to four committees to get to the bottom of State Capture claims, and report back to the National Assembly. The home affairs committee closed this chapter following a briefing by the director-general that all was above board when the then Home Affairs Minister Malusi Gigaba, now Finance Minister, used his statutory discretion in approving naturalised citizenship to several members of the Gupta family as their businesses were creating jobs. The transport committee has yet to secure space for this, citing a heavy legislative and oversight programme. On Wednesday Dames told MPs he was “angry” when the adviser to then Public Enterprises Minister Malusi Gigaba called him to a meeting with others to discuss coal contracts and the New Age business breakfasts. No, he could not confirm whether one of the Gupta brothers was among those present, but afterwards he called the ministerial adviser, Siyabonga Mahlangu, to say “you will not bring these people to me”. And Dames recounted how after the appointment of new, subtle but clear governance, changes started to unfold: two people appointed to the office of the then board chairperson directly interacted with suppliers, and he registered his surprise at encountering Eskom officials who had been informed through other channels to attend the same meeting. It was highly unusual for non-executive board members to become involved with suppliers or procurement matters. “I think there were influences from outside of Eskom, specific people for specific purposes,” Dames said. For Zwane it was much more simple and clear-cut: he meets a range of business people, even those who “insult me in the media”, as part of his job. But he barely managed to say “Gupta” more than once, though the names of the Oppenheimer and Rupert families and Mark Cutifani, the Anglo American CEO, rolled off his tongue much more easily. And so the stories continued to flow to explain away meetings, interventions and other actions that set in motion a series of events and deals that continue to emerge in the hundreds of thousands of leaked emails in the #GuptaLeaks. Saving jobs was the reason Zwane went to Switzerland with regards to Glencore mine and Tegeta, a Gupta-linked company at the centre of the storm of State Capture and also at Eskom because of its coal contracts with the power utility. The minister was equally dismissive of concern over his role in the 2013 landing at the military Waterkloof Air Force Base of guests of a Gupta family wedding at Sun City, even if it is on public record in his letter, as then Free State Agriculture MEC, that key to securing landing rights was that some passengers were there for an official conference. It’s about plausible deniability and, amid the smoke and mirrors of the ANC factional battles heightened in the run-up to the party’s December national elective conference, about subterfuge.